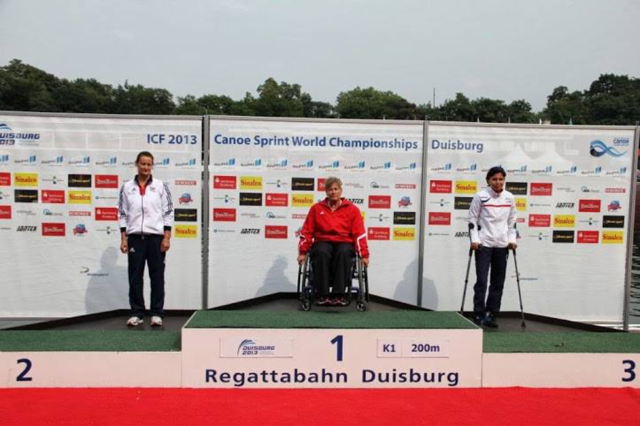 ANNE DICKINS MBE- PARACANOEIST: Silver at The world Championships! Did you have a nice, relaxing summer holiday? Like most people I took a couple of weeks off work this summer. Many of my patients will have assumed was lying on a beach somewhere sipping cocktails. To spend your annual holiday competing at the World Canoe Sprint Championships is nothing short of amazing, but it’s hardly relaxing…! In fact nothing about the last few weeks has been relaxing at all! 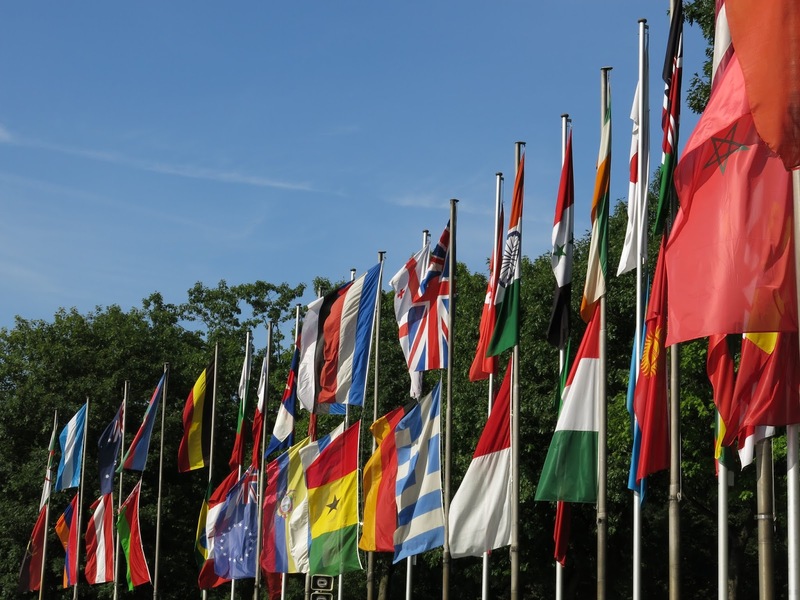 After winning at the Europeans it was all systems go for the Worlds. A new technique to dial in, increased training sessions, increased weights, all aimed at getting me as fast as possible for August…. Unfortunately my body said no. After an incredibly tough year of learning a new sport, the additional strain proved too much and I developed a rib injury just 7 weeks out from the World Championships. I was absolutely gutted. I am a physio and I have competed as an athlete. In my opinion training is 'relatively easy' – you just follow the plan and sweat a lot. Managing an injury so close to your main race of the season on the other hand is incredibly stressful. Everything I did for that seven weeks was a gamble; continuously having to think about consequences, change training plans on a daily basis and being extra smart about how/if I could train. It was definitely on an emotional roller coaster, and for most of that seven weeks I was genuinely wondering whether I was going to be fit enough to compete. It was awful feeling my hard earned fitness seeping away, seeing my team mates training hard and posting PBs while I couldn’t even sleep properly without pain. 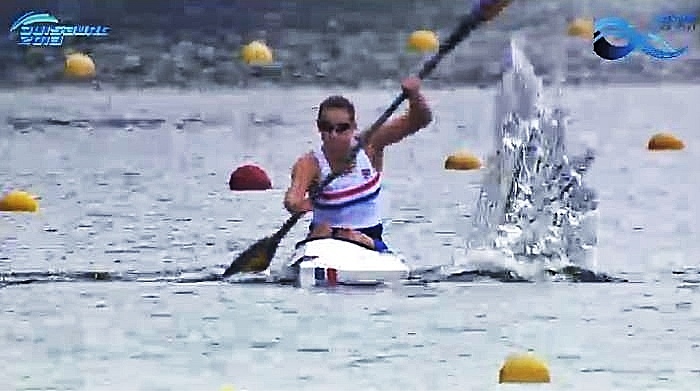 With some incredible support from hugely experienced and talented English Institute of Sport physios, and from my coach who skilfully managed to push me enough, but not too much, I arrived at the World Championships knowing at least that I would be able to paddle. It wouldn’t be my finest performance, but I was there!! On the day of my heats all the calm I had at the Europeans wasn’t there. 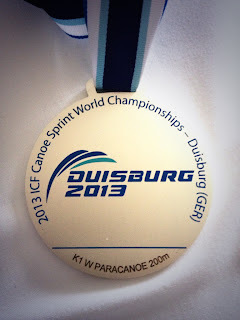 I hadn’t practiced a 200m since the Europeans and I was feeling sick with nerves. I didn't know if my body would stay together. With my rib injury, the starts were the highest risk for further injury. In my heat I had an awful start, and it went downhill from there as I didn't want to put any real power through the stroke in case my ribs went ping. Unable to be powerful I completely lost technique and I spun my arms around manically. In the frenzy of the race there was nothing I could do to bring it back. Thankfully I just squeaked into the final by coming 3rd (4th overall). 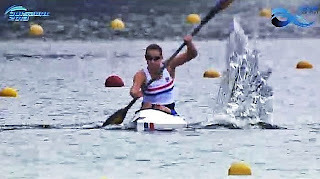 This was just the heats, but it was the first race ever that I had lost and it was a horrid feeling. I slinked off the water with my tail between my legs, not wanting to meet the eyes of my coach or fellow team mates. I knew I had deviated from my race plan and I had some serious 'brain work' to do to get it back for the final. My final was to be the next day and I spent the time visualising my race plan, knowing that I just had to disregard my rib pain and what I couldn’t do, and instead focus on what I could do. The last time I disregarded an injury I ended up having to undergo emergency surgery on my back then wondering if I would be able to walk again, so this was going to be a massive deal for me. That night I had a long chat with my coach and also with Simon, which helped enormously. The GB team had taken me through my race data – in fact I had posted a PB, but I knew what was wrong. So when it came time for the final, though still not feeling my finest, I was a good deal better than the day before. 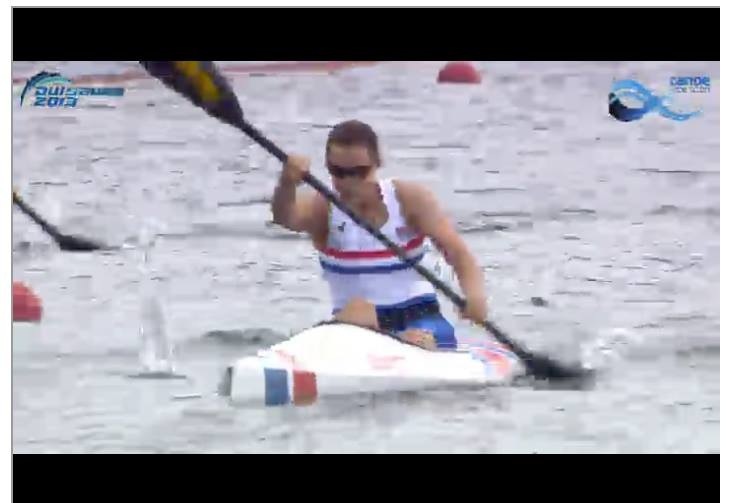 I got on the water for my warm up and could see the Union Flags waving from across the lake – knowing that Simon, Will, my parents, Ant, Rach and all the amazing group of GB supporters was over there was a real comfort. Go! The noise was incredible! Hooters, cheering, clanging, shouting! Never say that the British are reserved!! In lane 2, I wasn't really aware of the race going on around me, which was perfect. The plan agreed with my coach was to ignore the competition and focus on my race plan. The pain in my ribs forced me to put myself into another place completely. I just went blank and paddled, paddled, paddled, focusing on technique and forcing myself to push on towards the finish. What an incredible race! As we reached the finish line no one knew the placing because the race was so close. Then the big screen flashed up in front of us showing that I had come second, with the top 3 positions within about half a second of each other. For the last year I had dreamed of being here. For the last seven weeks I had doubted I would even be able to take part. I was thrilled to have simply competed in the World finals, and then to get silver was simply fantastic! Coming second to the 4x world champion and world record holder was an honour and I felt very proud to stand on the podium next to her. The enormity of what I have achieved this last year as a para-canoeist is almost too much for me to comprehend. I’m sitting here now looking at my silver medal wondering if it was really me who won it. And of course in reality I am just the tip of an iceberg, the bit of that medal winning performance that people can see. I may be the one who paddles but underneath me is a huge base of support holding me up and helping me achieve, and I really wouldn’t be here today if it wasn't for those amazing people who believe and invest in me. 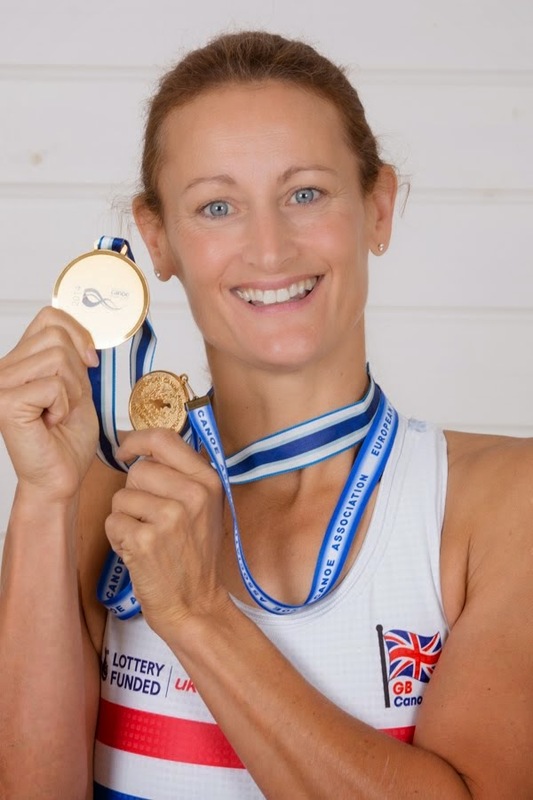 So a massive thank you UK sport for funding me, to all at GB paracanoe – the staff and my team mates, and particularly Colin who believed in me a year ago; to all those at my local club- Wey Kayak who have put in time, effort and encouragement – particularly my coach Claire Gunney who understands the way I tic; and to my amazing family – who have had to put up with a lot. GB Paracanoe - Athletes, medals and Coaches.